For most companies, a UPS system is a critical component in their overall mission critical power systems. Whether your system supports a data center or provides emergency power for manufacturing in a harsh environment, here are the five most important considerations when purchasing a UPS power backup solution. UPS systems are not designed equally, and choosing the wrong type of system for your application can have disastrous consequences. It is important to take time to understand your own environment before selecting a UPS system. For example, the type of cooling fans that are installed in UPS systems can vary from a small, inexpensive computer-grade fan to large, mushroom-type fans that are powered by a three-phase motor. Since a UPS contains sensitive electronics as well as batteries, properly design airflow and cooling are critical. If your environment is corrosive, ensure the unit can be hermetically sealed or at least have coated electronics that protect internal electronic components. Make sure to verify the BTU output of your UPS and confirm that your cooling systems are able to handle your thermal output. A UPS system’s weakest link is its batteries, and elevated temperatures can significantly reduce a battery’s life span. In fact, it is estimated that for every 15 degrees above 25C (77F) a battery’s life is cut in half. If your UPS unit is in an uncontrolled environment like a plant floor or server closet, make sure that you purchase a system that can handle the heat. Taking the time to properly understand your current and future loads is also crucial to making the right choice when purchasing a UPS. Most often, a UPS is used to support computer-grade loads like servers, network switches or computer work stations that have a clean, stable load profile. Reactive loads, compressors, electric motors and similar loads have their own power needs and should be discussed prior to selection of your UPS. Have a conversation about your load type when deciding what type of system will best support your equipment. Do you have frequent power outages, sags or spikes? Historically, what power issues has your building experienced? Do you have neighboring business that might disrupt the power in your own facility? Verify the operation and reliability of your generator. If your UPS can only handle a few moments of runtime, your generator becomes significantly more important. For many of our clients, time lost is money lost. Each organization we work with has a different perspective on its own uptime requirements. A power outage in a facility may range from being a mere nuisance to having a substantial impact on a company, which impacts its reputation, product delivery and bottom line. Before you spend the money on a critical UPS solution, analyze what downtime would truly cost your organization. Reliability can be increased by selecting equipment with a high Mean Time Between Failure (MTBF), as well as designing redundancy in the critical power path. A UPS system will typically require three battery replacements in its life cycle. Verify what type of battery your selected unit requires and see what the standard warranty and expected life might be of the battery. If you have a chance to purchase an extended warranty, it may help offset or lower some maintenance cost. Lastly, some manufacturers will still try to control their service market by installing proprietary software in their UPS units. If a UPS manufacturer keeps its software closed to the public or vendor-neutral service providers, this can drive up service costs and limit service options in the future. Efficiency is also a key component in the life cycle cost of a UPS system. An inefficient system could cost your facility thousands of dollars over the operational life of the unit. While some companies tout their high reliability through the use of ECO or standby modes, make sure that you verify their true online AC efficiency since most facilities will require a true online system for operation. Choosing the right uninterruptible power supply is an important decision that can have a significant long-term impact on your business. Understanding these five considerations can steer you toward the best UPS for your team. Need assistance on choosing a UPS system? Consulting an independent UPS solutions provider such as Quality Power Solutions can provide you with an unbiased opinion on available systems and help you find the solution that best fits your mission critical environment. What size UPS would i need to power a 7 amp motor for 4 hours? It is a circulator pump for my wood boiler that needs constant power. I have a stand by generator but once the starter failed and the resulting mess is not worth the cost of a UPS. 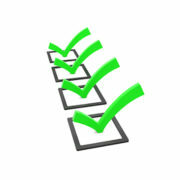 Defining your options and listing your needs would help you to look for the right UPS. Being considerate and having known of its qualities and advantages would engage to avail for a UPS useful for your devices.